• 3,638 sq. ft., 3 bath, 4 bdrm 2 story - $369,000 USD - Great Price! Reduced! 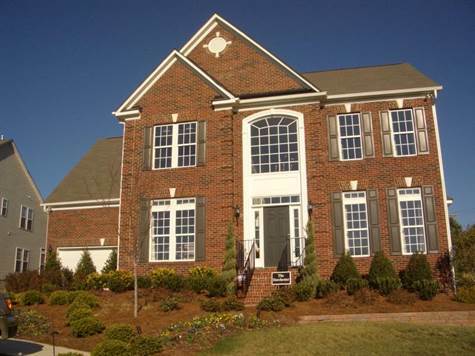 Brandon Oaks, Indian Trail - Model home, never lived in! HUGE kitchen w Gourmet Island, Double Oven, & Cooktop. Dining Room with Tray Ceiling, Great Room with Coffered Ceiling, Study with Built-in Cabinets. Butler Station! Owner's suite with Tray Ceiling and Sitting Area, Luxury Bath with his/her Closet, separate Vanity, Garden Tub & Shower. Professionally decorated. Oversized Bonus Room. Surround Sound, Intercom, Window Treatments, Washer, Dryer & Fridge can remain. Irrigation System in front and rear with exceptional, established Landscape Package! $140,000 worth of Upgrades; too many options to list! Low Union County Taxes and great Schools! The Brandon Oaks Community has tons of Amenities! Listing Agent is Owner. Available February 09.